We live in on the cusp of a new decade and with it, we will reach a turning point in our relationship with technology. As automation becomes more and more the standard and deindustrialisation decreases, it’s thought that computer programming skills will be the future of everyday work. One of the driving forces behind emerging automated technologies is blockchain. Thought to be worth $20 billion industry by 2024, blockchain technology is already playing a role in the financial services industry. 69% of banks are experimenting with blockchain already. Many are investing in blockchain technologies to make their services more secure, seamless and transparent. Due to the structure of blockchains, they are extremely secure while being fully transparent to all parties. This makes data transfer both safe and easy to monitor. As such, it’s easy to see why the finance sector is so interested. Making secure payments easier could save them billions every year. But, this is just the tip of the iceberg. Starting a career in blockchain now will allow you to stay on the cutting edge of the next technological revolution. Why would you want a career in blockchain? Blockchain has potential in a range of industries beyond finance. Blockchain developers will soon be filling roles similar to that of website devs – dedicated technical specialists providing an essential service to an organisation. Blockchain roles are also poised to be lucrative opportunities for individuals, too. According to ComputerWorld, the average salary of a blockchain developer in Silicon Valley is $158,000 a year. Developing your skills in blockchain will allow you to work within a range of industries and earn a very competitive wage. However, as with all emerging technologies, your path into blockchain might not be a “standard” one. How do you get into blockchain? The best way to get into blockchain technology is to have a fundamental grasp of software development. You need to have a firm understanding of the basics, including software development, cryptography, and languages. If you want to move into consulting, you should develop your theory and application skills to understand how blockchain can be best applied to your industry. Understanding the unique value a blockchain is essential for both developers and blockchain consultants. Features like decentralization, smart contracts, and Dapps form the foundation of this technology, so the success of any blockchain professional will be in their understanding of them. As a tech recruitment agency, we’ve seen Java and C++ appear on many blockchain developer job applications, so it’s useful to have a grasp of these as well, if only to get your foot in the door. If you’re already a developer, make sure you’re active within your communities on Reddit, Gitter, StackExchange and similar platforms. As a growing technology, there are a lot of open-source projects going on that can function as an on-the-job training mechanism for devs looking to move into blockchain. This is very important because hands-on experience are becoming more and more relevant in tech. A 2017 Deloitte study found that “aspiring workers should realise that a bachelor’s degree is not all that matters to their future. In itself, a bachelor’s degree is just a piece of paper. It’s the skills and the occupation that matter more”. If you’re looking to develop your management and consultancy skills within blockchain, consider reaching out to reputable, verifiable blockchain startups and offer your services with community outreach. This can include event organization, discussion leadership, and other engagement-oriented activities. This will give you an opportunity to engage and network with your peers in the field. This will help you source talent, keep up with the latest innovations and develop your personal insights. 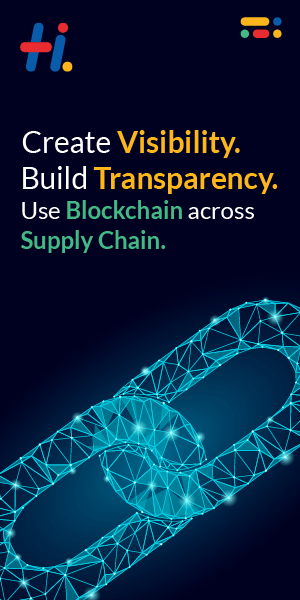 Blockchain has applications across all industries. Some industries are investing faster than others, but as we move into the new decade, more and more sectors will need blockchain experts. When you’re looking for a job in blockchain, be flexible and open-minded when exploring roles. There’s more to blockchain than mining Ethereum! Formal education can be helpful when it comes to developing your basic programming and/or business management skills. But, as an emergent technology, it’s important to keep your finger on the pulse of the industry and be prepared to get your hands dirty. In addition to open-source communities, there are already a number of online courses you can take to further your knowledge. Take the time to explore how this technology can be applied in different ways to help further innovation. If you want a job in blockchain, you don’t just need knowledge, you need to show it off. Demonstrating your skills on community projects and sites like GitHub and StackOverflow will give hiring managers greater understanding of your talents than a CV will. If you’re struggling to get involved in open-source projects or freelancing, consider writing some articles. Choose a niche aspect of blockchain you know a lot about and write about it. This is an easy way to demonstrate the depth of your knowledge. Blockchain technology is about to change the way businesses perform forever. If you’re interested in technology and how it can be applied to benefit organisations and the people they serve, it has never been a better time to get into blockchain. global specialists in cloud and software tech recruitment.